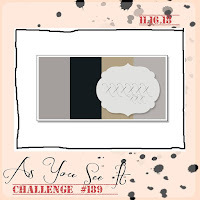 This week at As You See It, Amanda has given us a sketch to play with. When I looked at it, I saw lots of DSP. DSP is something that usually scares me off. I don't often use it, and certainly not in large amounts. More than one pattern really frightens me! So I'm amazed that this is what I came up with. 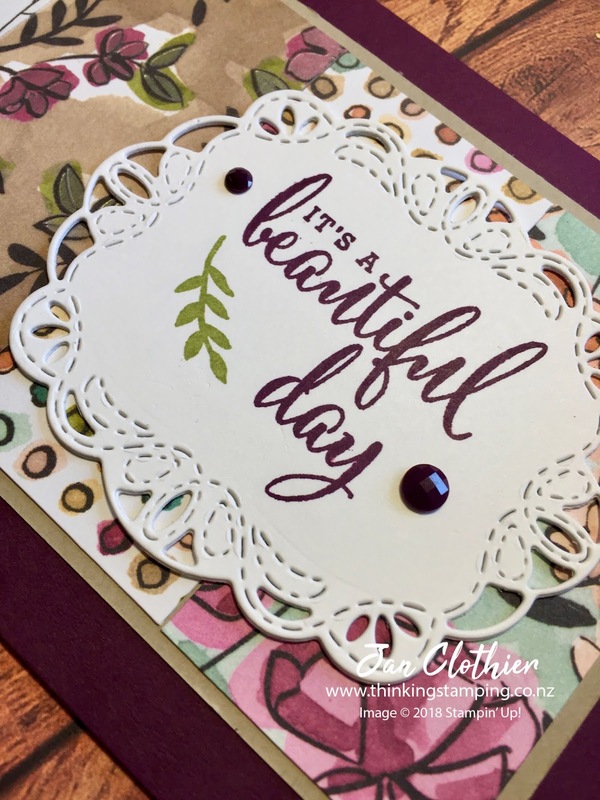 It's just as well Stampin' Up makes coordination so very, very easy. I bought the luscious Share What You Love DSP paper from the 2018-19 catalogue. Like all our DSP packs, the papers play well together. I needed something to tie them all together, so I picked four papers that used Blackberry Bliss/Rich Razzleberry somewhere in the design. 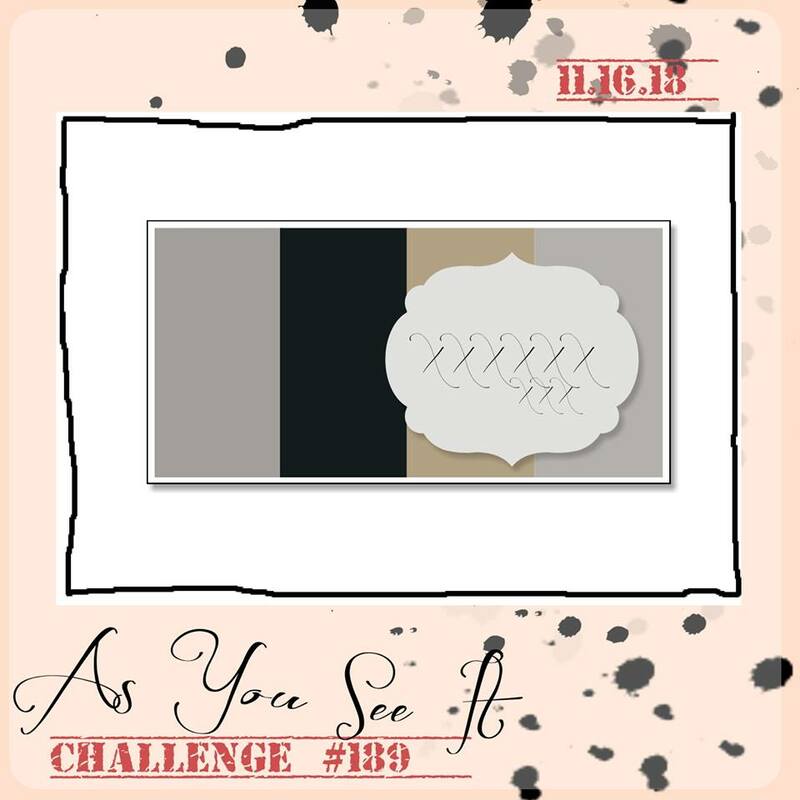 Blackberry Bliss became the base colour and colour for the sentiment. I used the neutral Crumb Cake to mat my four pieces of DSP as it appeared in most of them too. 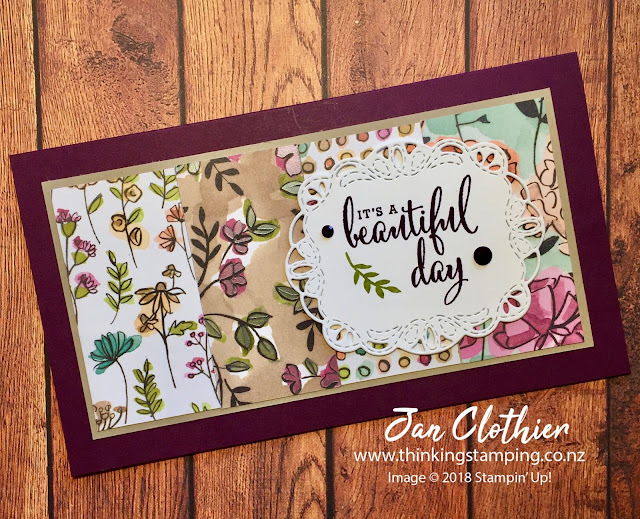 I used the large die from Stitched Labels so the sentiment had room to breathe against the busy-ness of the background. Then just a couple of Blackberry Bliss faceted gems finished things off. We'd love to see how you see this sketch. Pop over to As You See It to see what the rest of the team have done, then why not join us. You have until Wednesday 28 November, 11.55 p.m. PST to play along with us.